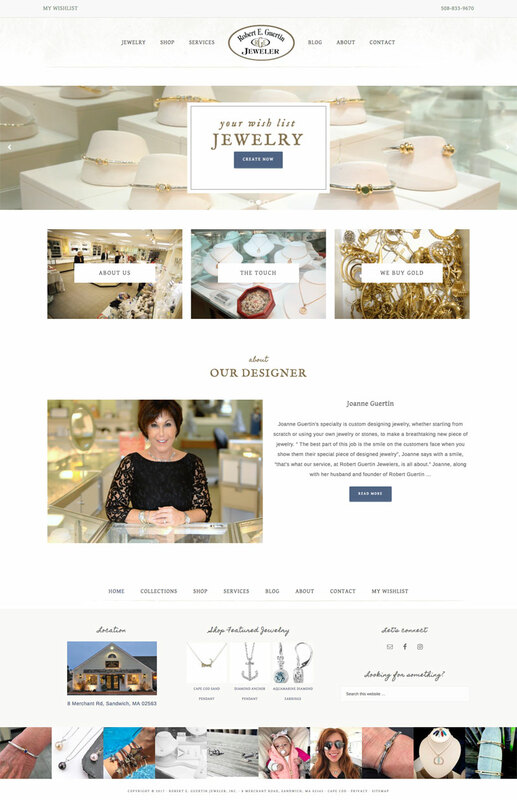 Robert E. Guertin Jeweler, Inc. needed an updated website that reflected their brand, featured current product offerings, and would resonate with potential customers. Technical issues also needed to be addressed as outdated WordPress versions, themes and plugins were detected. An easy to navigate, clean, mobile responsive, search engine-friendly website that features vibrant photos. A jewelry catalog that allows visitors to search and view a selection of jewelry by style, designer and/or collection. Wishlist feature that allows visitors to add a product from the jewelry catalog to their own personal wishlist and then print to bring to store. An integrated Instagram account feed that features their latest posts. A newsletter signup form that integrates with their existing Constant Contact account allows visitors to sign up for email notifications of new products, sales and upcoming events. An ongoing maintenance plan to assist with security and keep website technical components up to date. 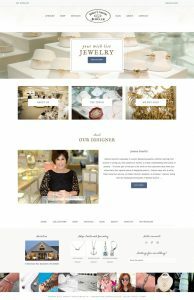 Jean Kourafas has more than 20 years of professional experience designing, marketing, and managing corporate websites on both the East and West Coasts. 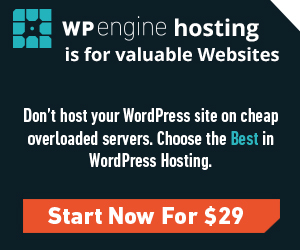 Specialties include technical support for WordPress, SEO and a variety of digital marketing platforms. News and Tips sent once a month! Make a purchase from this referral and I might earn some extra money. Located in the town of Barnstable on Cape Cod. I'd love to hear about your online business goals and challenges. Contact me today.